I’ve often reflected on the role of libraries in shaping the knowledge commons. 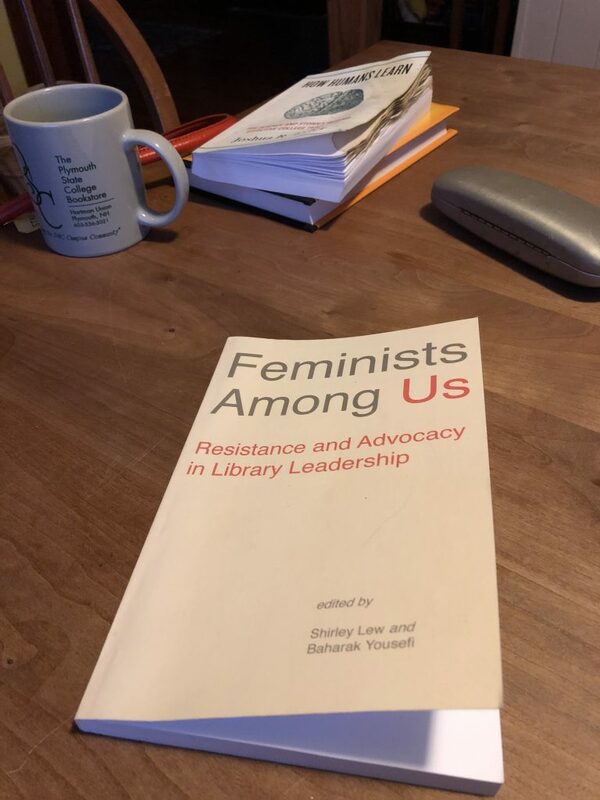 I’ve often wondered about the power of public spaces for learning, and argued that libraries have the potential to be radically public institutions, despite (and maybe because of) the complex and sometimes oppressive politics that infuse them. When I think about higher education, I think about the connections between colleges and their libraries, and between colleges and any library. The feeling of exposure I felt when placed in a leadership role begins to make more sense in the context of a lifetime of existing in the margins and having no apparatus to lean upon when placed at the center. This role challenged my unresolved issues with oppression and, even more problematic, with my self-oppression through self-censoring of language, culture, and my own voice at the very moments when I needed to speak up. 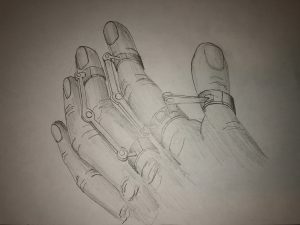 I envisioned a personal feminist framework that conformed to the shape of my body and experience, an exoskeleton of sorts, which acted as a filter for things coming in and going out. I visualize the framework as multi-layered, at its foundation a perspective constructed from personal experience, and interwoven with the many books, feminist theories, and people in my community– friends, mentors, colleagues– who shaped my thinking and values. The framework isn’t static but rather it expands, contracts, and changes shape with time and experience. Visualizing this personal feminist framework works for me and is a way of carrying my community with me. It gives me a space to think objectively through a feminist lens, to add to and build upon theory and ideas, to learn and unlearn things as I encounter new situations. It’s a filter through which I can separate the self from what’s required in the moment. There is so much here that is instructive, especially for me as a white feminist invested in critiquing white feminism’s complicity in what Lew quotes bell hooks in calling “imperialist white supremacist capitalist patriarchy.” Lew reimagines the baggage of racism as a bionic extension of her body, which she leverages to create inclusive spaces in the academic library, and indeed to imagine the academic library as a space whose commitment to “openness” is predicated on inclusive participation. The exoskeleton is a way of thinking about power that is critical in its distancing from its subject/self, protective in its ability to deflect pain, and empowering in its aggressive insistence on actions and decisions that promote equity. And it’s also significant in the way that it envelops trauma and oppression instead of erasing it. The margins here are not cleaned up. They are not centered. They are not obscured, diminished, or denied. They are strengthened and leveraged to create a leadership of and for the margins. The exoskeleton as a powerful figure for the leveraging of oppression to do the (subversive) work of inclusion. When we work with vulnerable populations of students, or when we wonder how we will survive an academy that persecutes vulnerable populations that we ourselves may be a part of, we can remember that the work of inclusion can be catalyzed by leaders whose vulnerability has given them the ability to see the damaging forces and the community to support their/our resistance. It suggests to me that we need to do more to encourage marginalized people into leadership positions within the academy, and that we have to be part of the communities that support those leaders. It’s a really concrete way of understanding why predominantly white (and/or male and/or heterosexual and/or abled and/or what have you) leadership is not always as effective at moving our institutions toward inclusion. The exoskeleton is multi-layered, and as Lew bravely shares, the humanity at the core has lived through trauma. But this grows power through support and consciousness and learning, and the dynamic leader that evolves through the margins holds the hope for how our institutions could ultimately be more humane and empowering for everyone. In general, what arguments do we make for diversity in our faculty, staff, or (especially) administration in higher education? How does Lew’s conceptual exoskeleton ask us to rethink or shift those arguments? Can you think of a time when a person in a position of leadership did something (large or small) to make your institution more inclusive? How does that person’s style or identity as a leader compare to Lew’s exoskeleton model?